Since Norval Morriseau, brought the First Nations wild and colorful renditions of nature to public in the early 1970’s and with the re-discovery of cultural ways and Art of the West Coast First Nations, the Art World has both embraced and shied away from the rapture of this wonderful way of depicting relationships, nature and mans interactions with the mystic nature of the wonders of the earth. 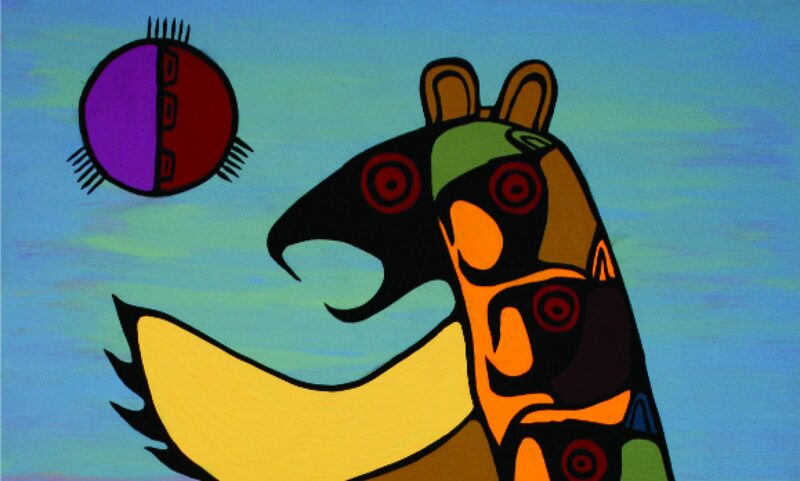 Enjoy looking at just a smattering of “early” eastern first nations artist’s at this site. Algonquin Heritage , proudly brings art re-discovered and lost in the vaults of Tundra Gallery, a gallery that thrived in the late 1960’s and 70’s in Northern Ontario. Thanks to their footwork, Algonquin Heritage has a strong appreciation for quality First Nations art and craft.